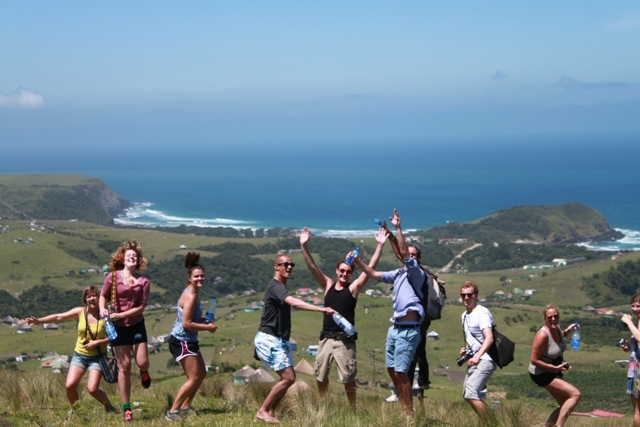 Planning an overseas trip (of course it will be to South Africa – the most beautiful destination in the world) is an awesome opportunity and an exciting task; this allows you to experience new and exciting things in a different part of the world. Yet, dealing with an emergency abroad is the last thing on one’s mind when preparing for the adventure – an unforeseen crisis can be a harsh reality. 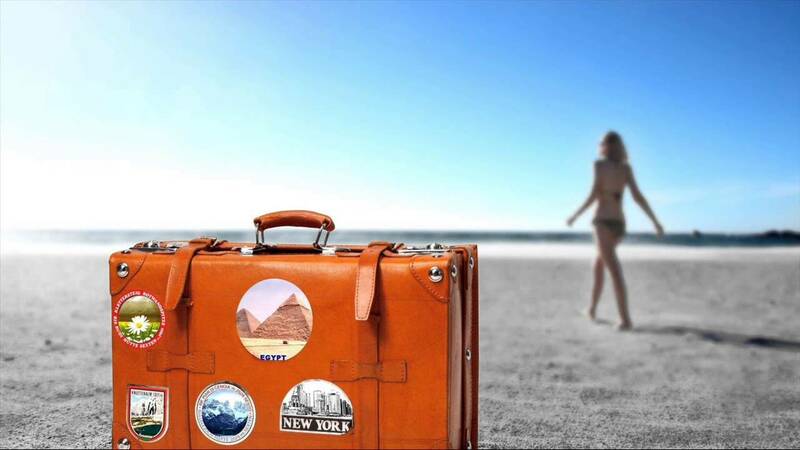 When travelling abroad, you could be faced with challenges like losing important documents, getting sick, being involved in an accident or becoming a victim of a crime. These challenges are all unplanned, and even though we would hope it never happens to us, the odd chance is always there that something might go wrong. The most important is to stay calm and handle these situations to the best of your ability, especially while in another country. Before starting your journey, it is important that you prepare yourself as best as you can for anything that could happen while you are away from home. 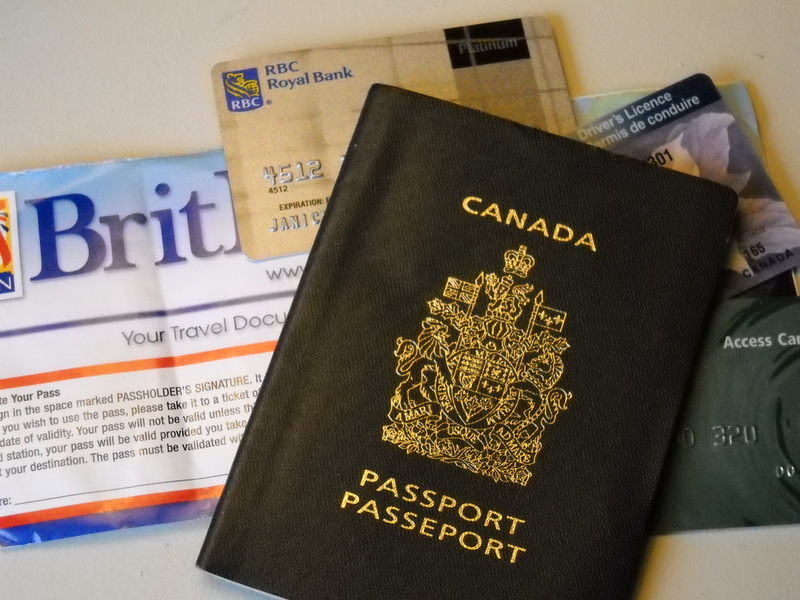 Copies of important documents and medical insurance are just a few things to be prepared with before your trip. An emergency travel pack is a vital component when planning a trip. The most important things of this pack are medical and personal documentation. Dealing with lost/stolen goods: If any of your possessions are lost/stolen, the first thing to do is report the lost items/theft immediately at the closest police station. A police report is needed for any insurance claims, so report a crime to the local police station. Handling a medical emergency: Medical insurance will benefit you. In an event of an injury, you should get help from the nearest location and call an emergency number immediately. You should also get to a clinic/hospital as soon as possible to stabilise your condition. 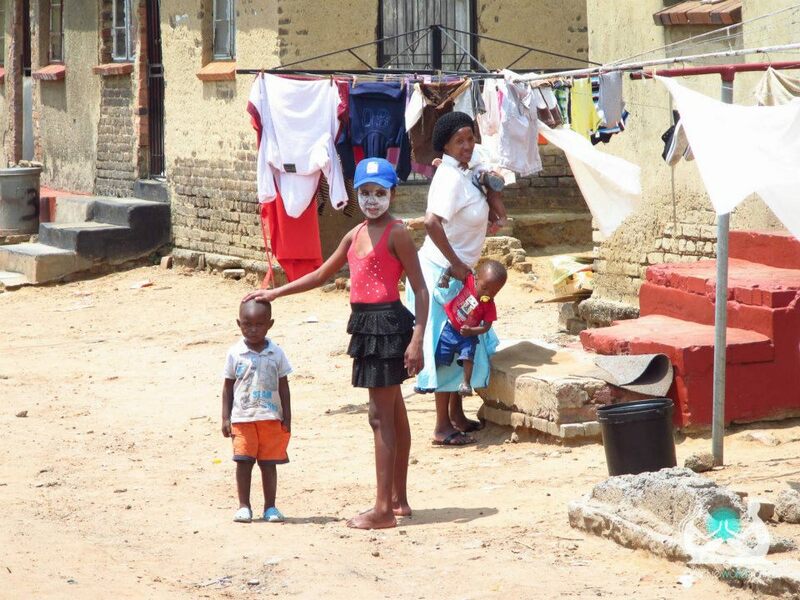 Listen to Locals: Being in a place that is not familiar to you could expose you to risks and unsafe areas. It is important to listen to advice from people that are used to the area/country. Always ask for inside info or handy tips. For the backpacking industry, this should be easy as the staff at the hostel are always willing to give the best information and recommendations of the area. Plan your transport arrangements before you leave. 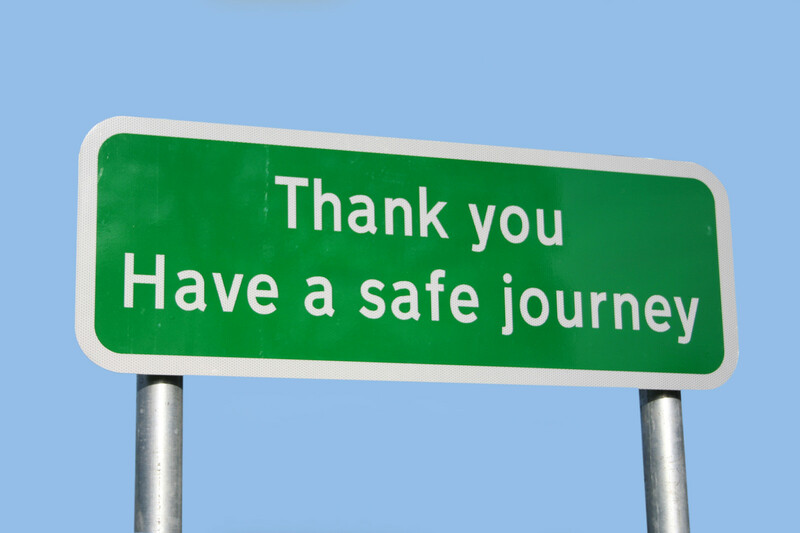 If you decide to do Tours, go in a group and always let someone know which route you intend taking. Stay in well lit and well marked areas at night. 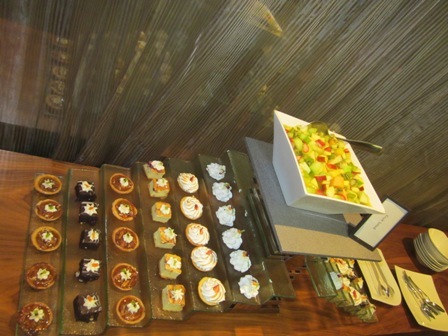 Travelling with everything prepared ensures maximum enjoyment and a worry-free journey. If you have any questions, or would like to add more items and advice to the above, please comment below. 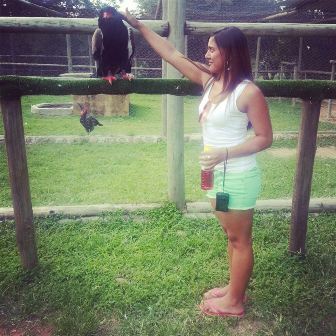 My Unforgettable trip to the Mystical Fairytale Land!!! 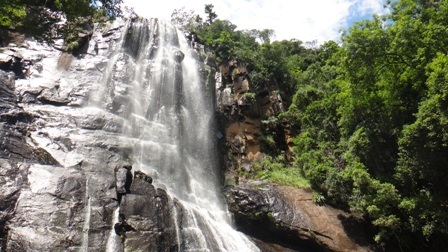 If long walks in the forest, waterfalls and fairies are some of your favorite things to do and see, then Hogsback is the place for you. 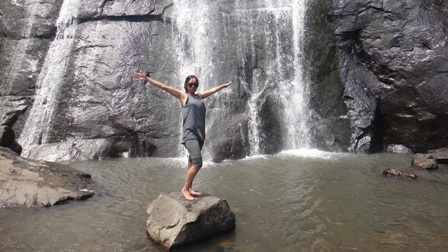 Using my hop-on hop-off Baz Bus ticket, I chose Hogsback as one of my stops and spent two days at the amazing backpacker hostel called Away with the fairies and fell in love with all the beauty it has to offer. 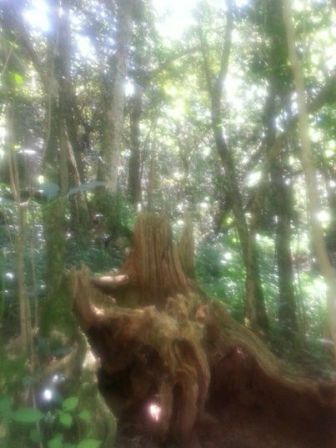 I was amazed with all the life inside the forest. 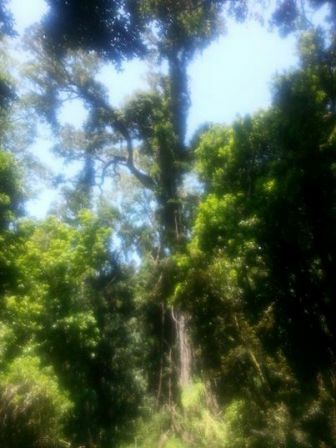 I got to see spider webs, fairies, butterflies, birds, as well as the famous big tree. 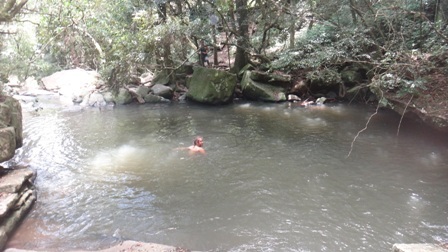 Our first stop along the way was at the natural rock pools. There is no better feeling than having fresh mountain water play against your skin. 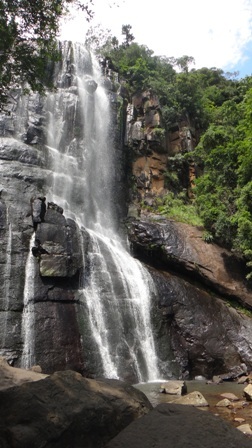 Our last stop was at the Madonna and Child waterfall. The sight was breathtaking, we all just stood there totally blown away by the view. We then decided to just spend the rest of our time right there relaxing and listening to the waterfall with good conversation and a picnic lunch. 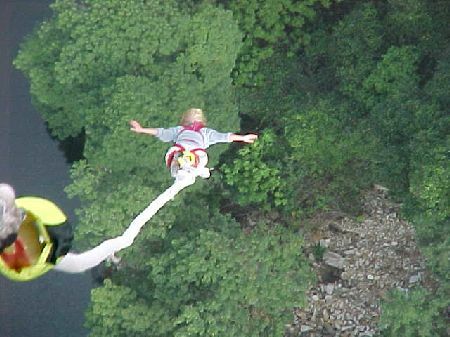 This was by far, the best day of my life. There is no better feeling than experiencing it for yourself!!! 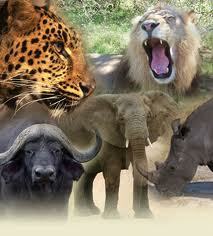 4 day Kruger National Park tour – part of my Baz Bus Wildlife Safari & Adventure package!!! 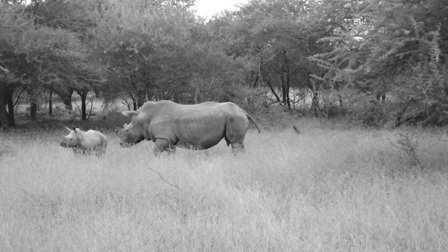 Our adventure began on the 18 January 2014, we left Johannesburg on the exciting journey to Kruger National Park. 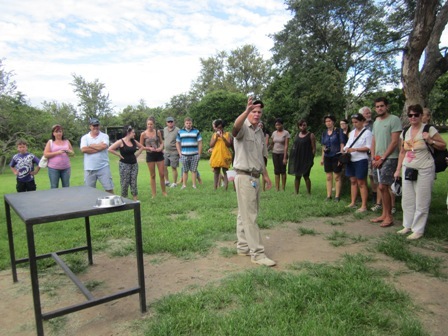 Our first stop was Moholoholo Wildlife Animal Rehabilitation Centre, where we learnt about abandoned, injured and poisoned animals. 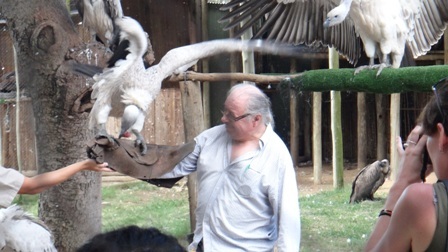 We then had an opportunity to interact with a variety of animal species and I got to touch a vulture and a leopard, all of this was assisted by guides. Wow!!!!!! It was phenomenal getting up close with such a big cat. 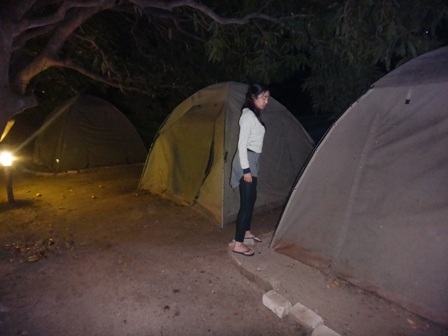 We then arrived at the camp site and had the option to upgrade to bedded accommodation, which was an additional R1000 on tour and we took it. 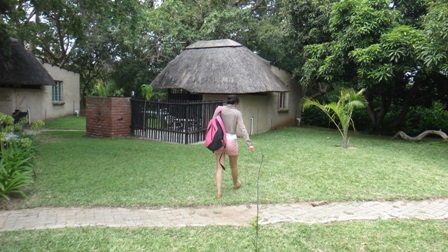 After settling in, we immediately explored the grounds in search of a swimming pool. 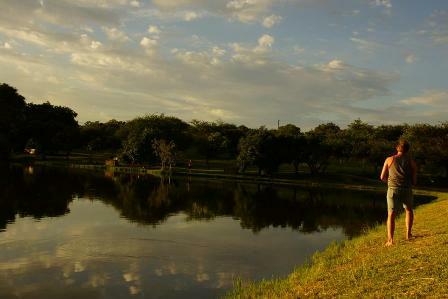 We were spoilt for choice and found both, a swimming pool and beautiful lake. We woke up at the crack of dawn to the sound of singing birds. 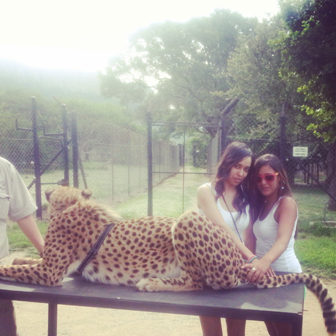 We had breakfast and journeyed off to start the adventure of spotting the infamous Big 5. 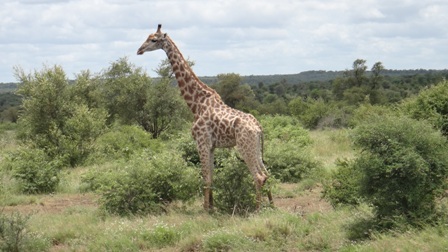 We spent the whole morning amazed and in awe of the beautiful life, in the park, such as birds, Lions, Elephants, Giraffes, Wildebeest, flying vultures and plenty of other animals. Our Ranger Brett was excellent. 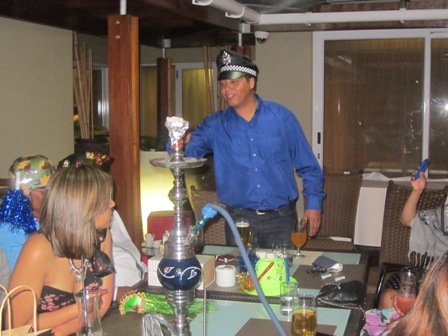 He made sure he chatted to other rangers for information about the big cats as well as other animals. We then got back to camp in the afternoon just in time for a refreshing swim, afterwhich we then headed off to a nearby reserve for a night safari drive. Wow!!!!!!! 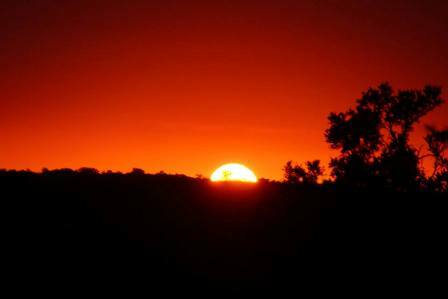 I’ve always heard about the beautiful African sunset but witnessing it, is in no comparison with a picture… Breathtaking comes to mind. The night drive was so different compared to during the day, because the heat ensures the animals hide whereas at night they come alive and roam all over. Dinner was really delicious, look out for the chef Martin, he really knows his way around the kitchen! Day 3 we spent a full day in Kruger, going as far as the Mozambique border. What an extraordinary day as we were lucky enough to see 4 out of the Big 5 and stopped off for a picnic lunch, in the heart of Kruger, overlooking hectares of the national park. On the last evening we were all very sad that this overwhelming experience was coming to an end and decided to party, in celebration, which only ended at 3 in the morning. 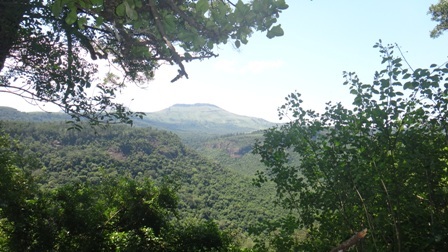 On the last day we departed at about 06h30 and head to a view point of the 3 Rondavels as well, as the amazing Blyde River Canyan. This was the highlight of my tour!!! 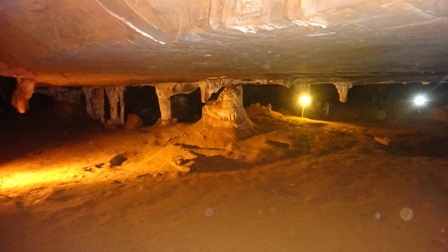 Our last stop was the Caves where the guide explained the fascinating history of the Caves. I would highly recommend this tour to everybody!!!! 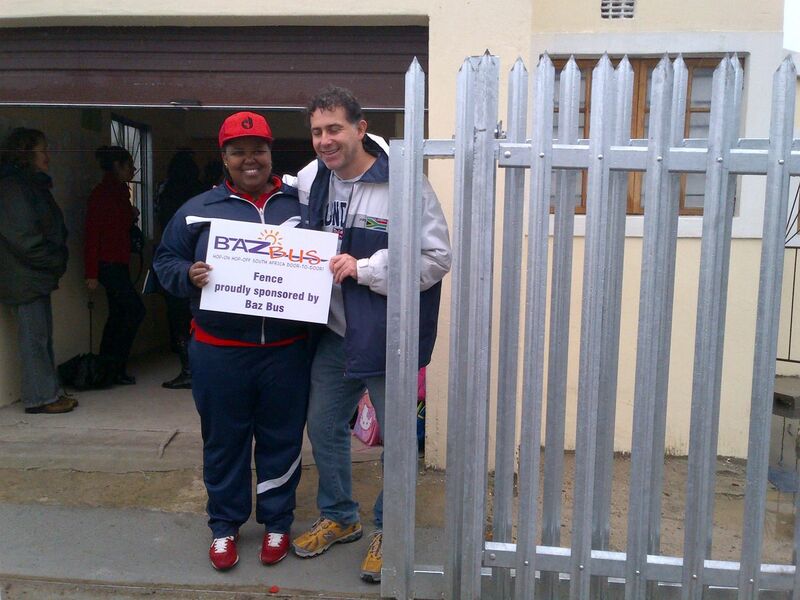 I’m looking forward to traveling with Baz Bus en route to Cape Town…. Watch out for my next blog!!! 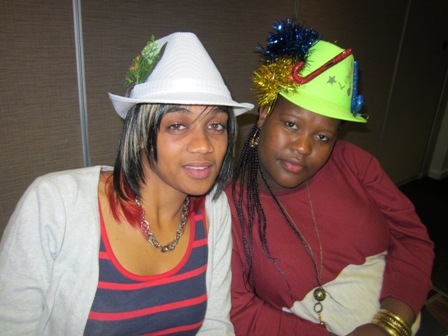 Baz Bus end of year party!!!! 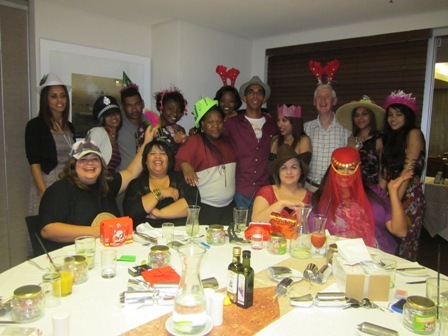 Baz Bus staff ended the year off in style with and delicious dinner at the Hilton Hotel. We were lucky this year with clear skies and got to see breathtaking sunset. 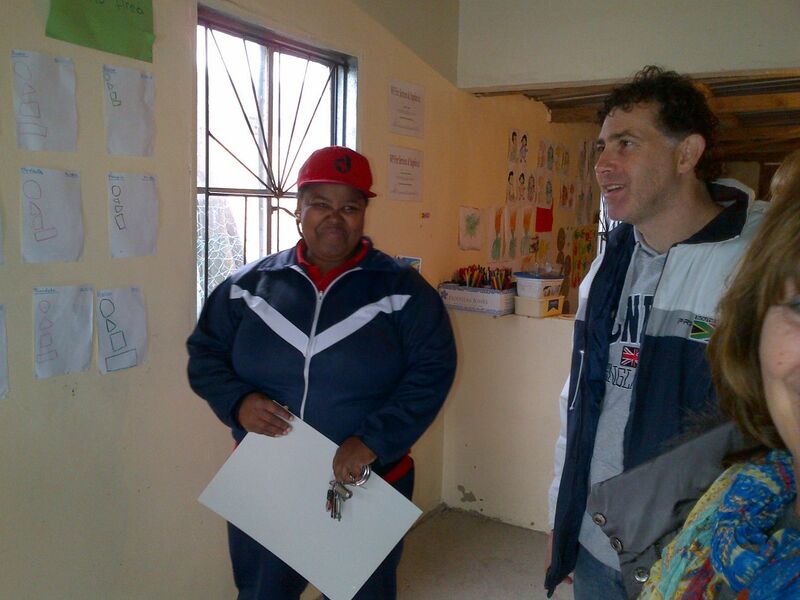 20 staff joined in on the fun which included office staff, guides and drivers. 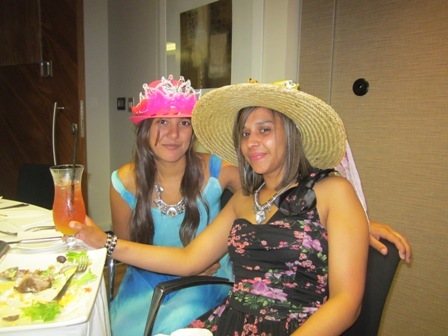 Yumna Isaacs arrange the evening and one of the requirements was making a hat for another staff member.The staff became extremely creative with the designs and put everybody into character on the evening. Thank you Yumna!!! 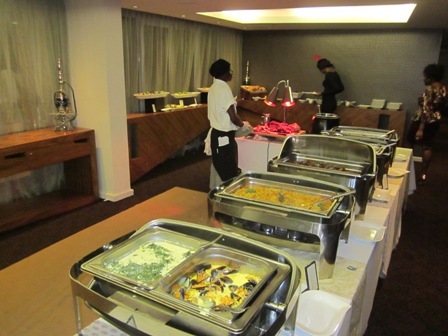 The food buffet that was served looked amazing and tasted even better the menu ranged from Carved slow braised lamb shoulder with pesto to Individual trifles and profiteroles. 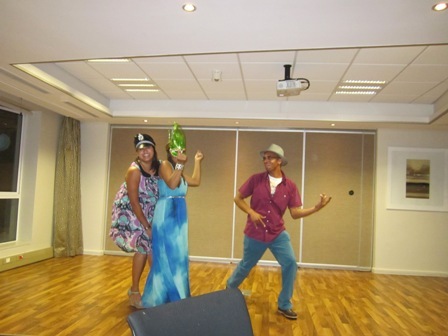 Melanie, Yumna and Mark started dancing and eventually got everybody on the dance floor. It was great to see all the Baz Bus staff showing off their moves. Darren from the accounts department gave a great speech on behalf of Barry the owner getting everybody motivated and ready for 2014. Thank you Baz Bus for another great staff party!!!! 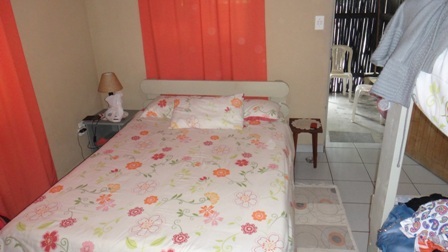 The property consists of 2 classrooms which houses the children according to age groups. One is a basic wooden structure and the other a proper concrete classroom extending to the road. 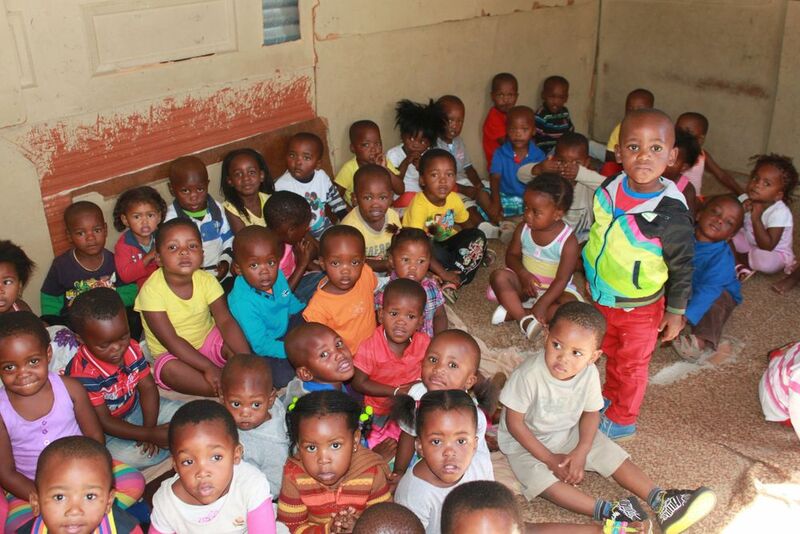 When we visited the crèche in February the immediate need was a proper fence in front of the property as the existing one was just a makeshift fence made of wooden planks. This would allow the kids more freedom to play outside of the classroom. 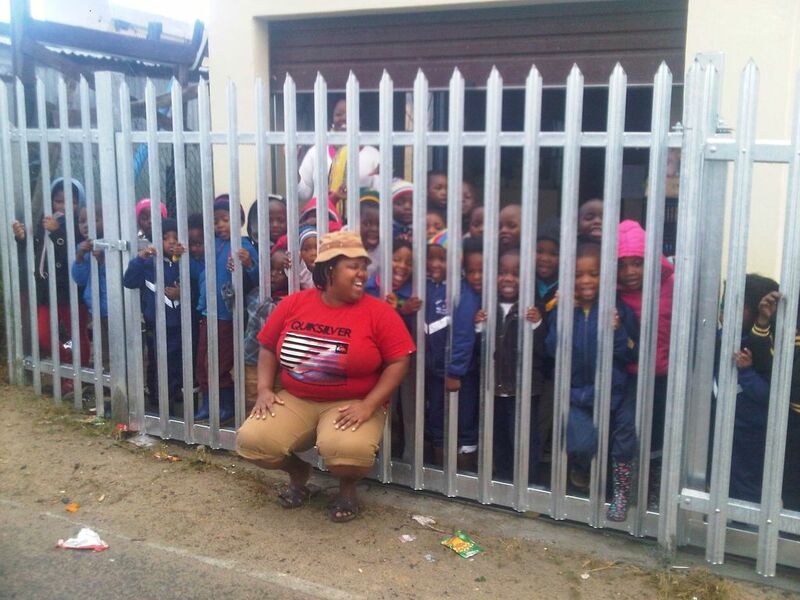 We proudly donated the funds of over R20 000 to erect the fence and hence our visit to view the fence. 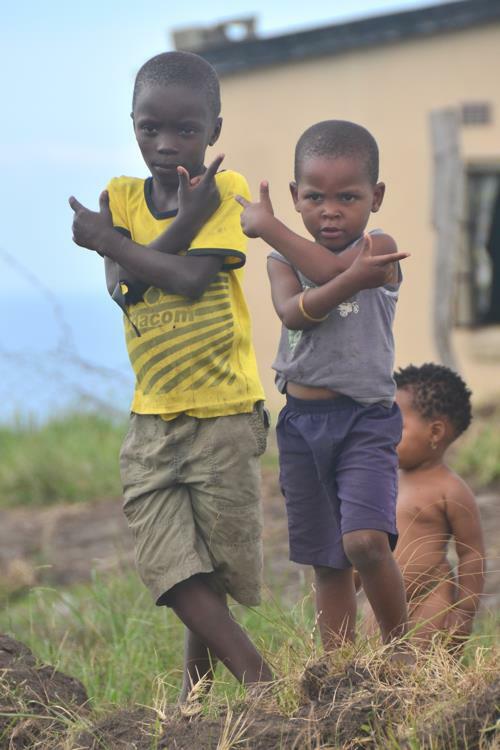 The community is so grateful that their kids are able to safely play outside and we feel honoured to have assisted in giving the children the freedom to play safely outside as all children should. 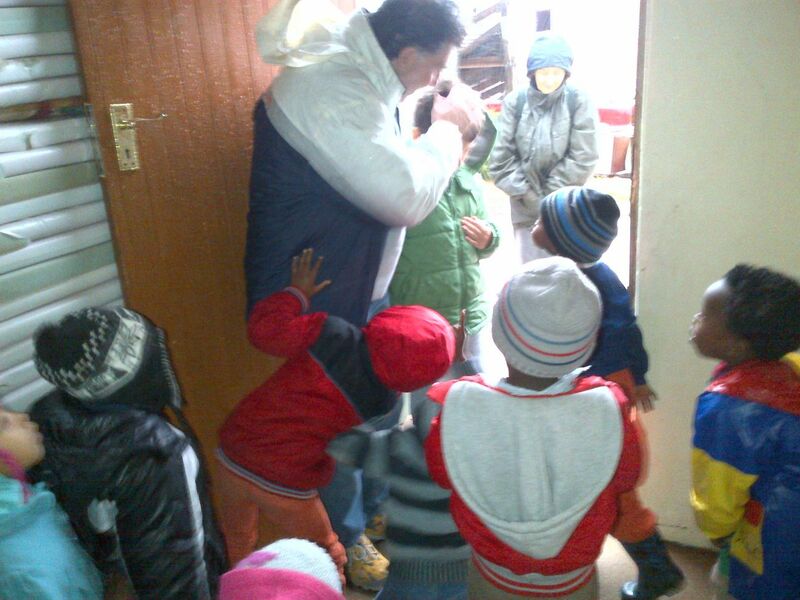 We also took other items of food that they desperately need on a monthly basis to keep the children fed such as rice, samp, mielie meal and muffins and much needed toilet paper. 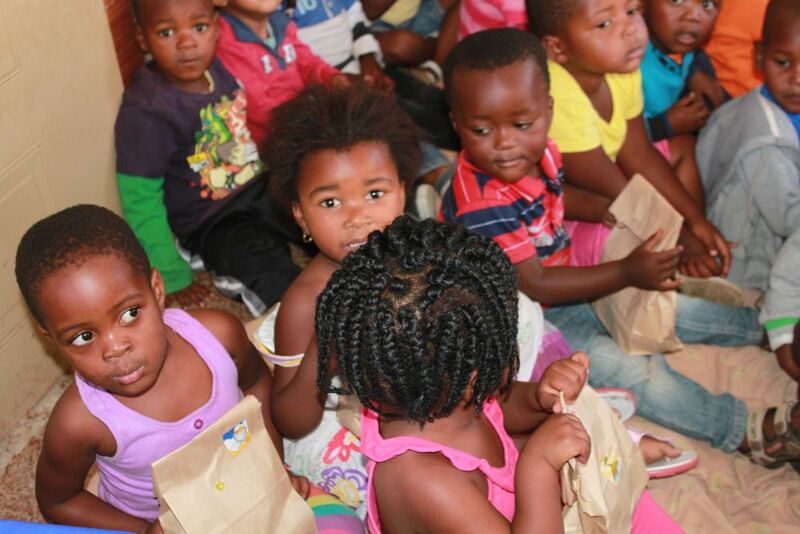 We also spoilt the children with party packets filled with delicious goodies. When we arrived there the wooden structure had collapsed due to the bad weather. 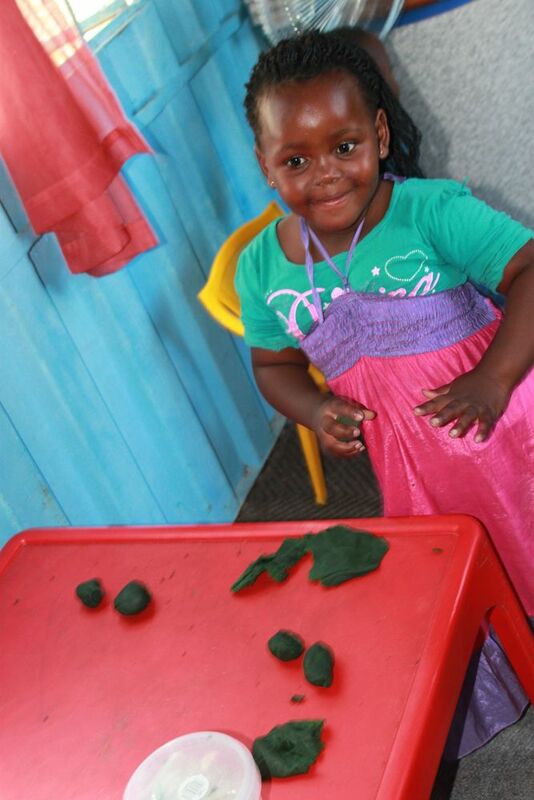 Harriet had to rent a room at a neighbours house and house some of the children there. Harriet has done an amazing job of pushing forward with her dream to educate the children and get them ready for school and her commitment to improving the school is evident. The Union of Jewish Women are working closely with Harriet to realise some of these challenges that she is facing by raising awareness and getting sponsorships and donations. 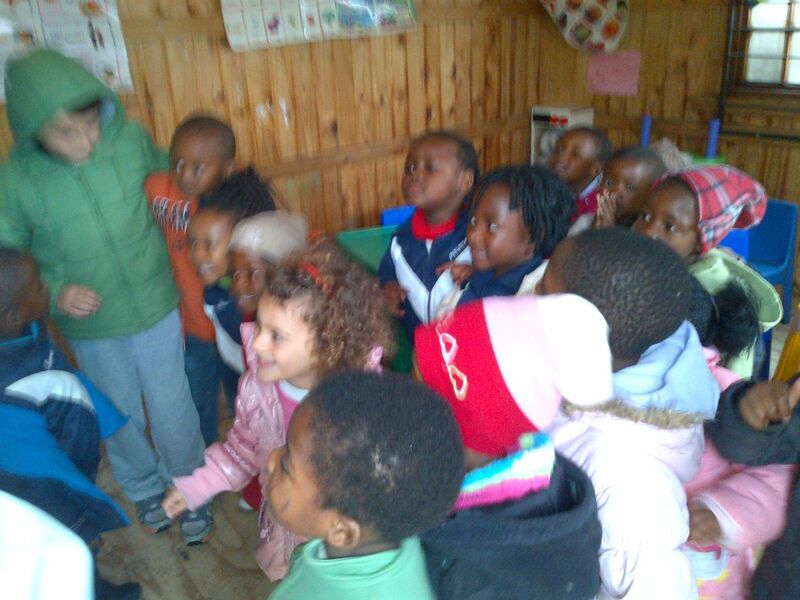 We also visited this crèche and donated groceries for childrens daily meals. 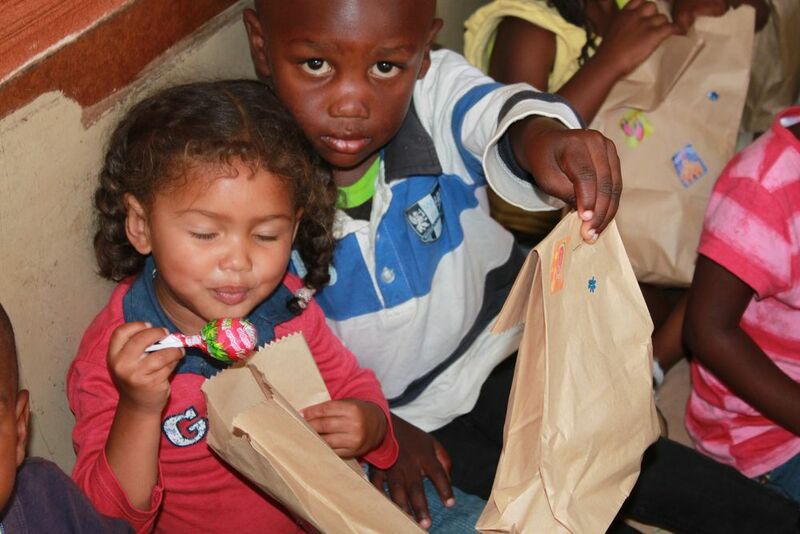 As usual we always spoil the children with goodie bags full of treats. Indy has managed to secure the premises including the ground from the council at a very good price. The Union of Jewish Women are also raising funds and getting sponsorships and donations so that she can purchase the land. Please view our video clips from the Harriet and Indy thanking Baz Bus for all that we have done for them! We are all familiar with the Kruger National Park Big 5: elephant, lion, rhinoceros, buffalo and leopard and it is a thrill to be able to spot and take photos of these amazing animals in their natural surroundings. 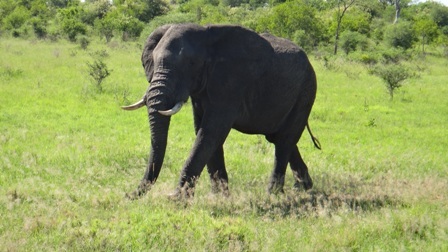 The Kruger Park also has the Little 5. These are five small animals which share part of their names with the Big 5. The ones that you will most likely spot are the Leopard Tortoise and Red- billed Beetle buffalo weaver. 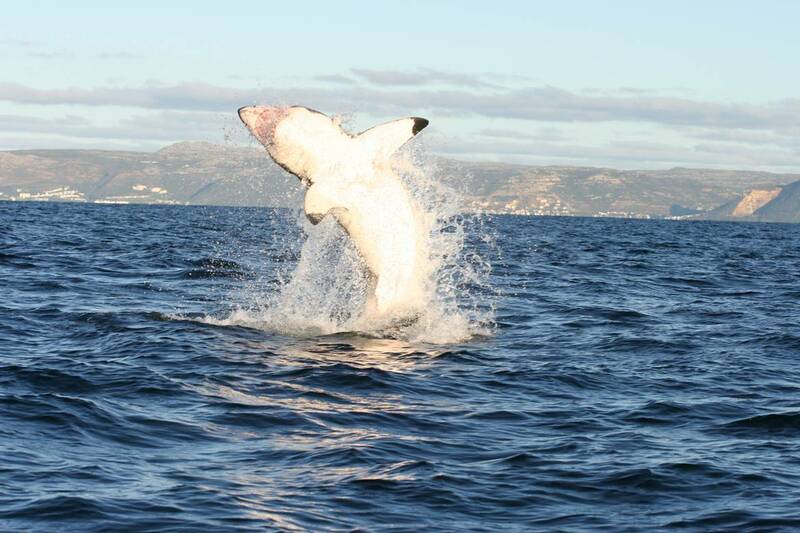 Here’s the lowdown on some of Africa’s finest little creatures! This insect makes a cone-shaped hole in the sand to trap ants and they are visible if you look carefully on the ground in rest camps or picnic sites. The elephant shrew is a small mammal which is similar to a mouse but it likes to eat insects. It has a long nose that looks like a mini elephant’s trunk. They live in rock crevices and are active at dusk. They only grow to a length of 250mm, with an average weight of 60 grams. This tortoise gets in name because of the spots on its shell. It is the 4th largest tortoise species in the world and can often live up to be a 100 years old! A mature leopard tortoise can weigh over 23 kilograms, with a shell circumference of up to one metre. The red- billed buffalo weaver is a member of the weaver family of birds and is famous for weaving nests using grass and strips of reed! They nest in open colonies and are a rather noisy and busy lot. The Rhino Beatle is one of the largest beetles in the world and the males have horns on their noses used to fight other males and dig holes in the ground! 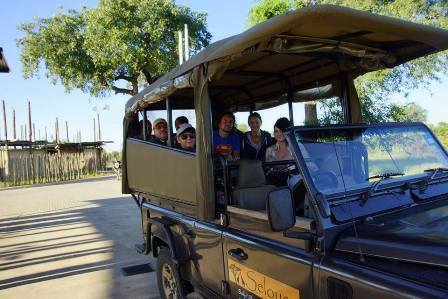 Read about our Wildlife Safari and Adventure Packages which includes the Kruger National Park tour! 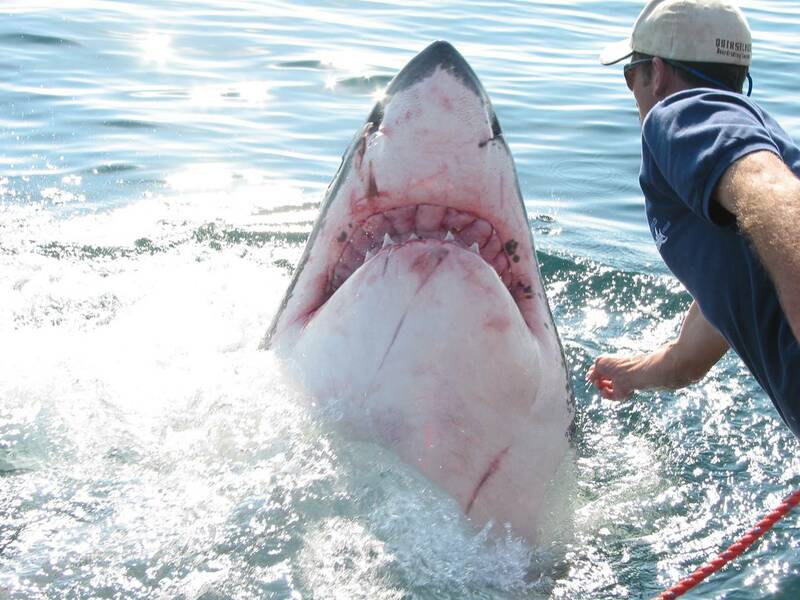 Pictures courtesy of South African Tourism. 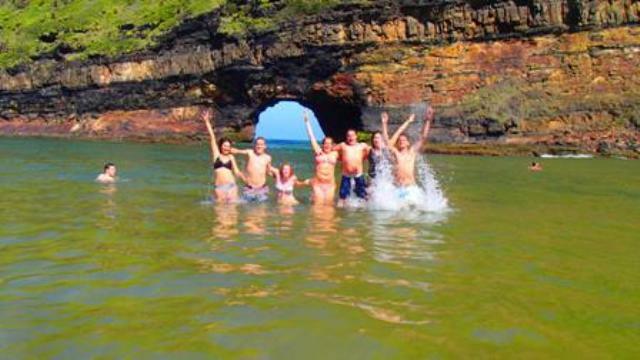 Is Baz Bus on your Bucket list – it should be! 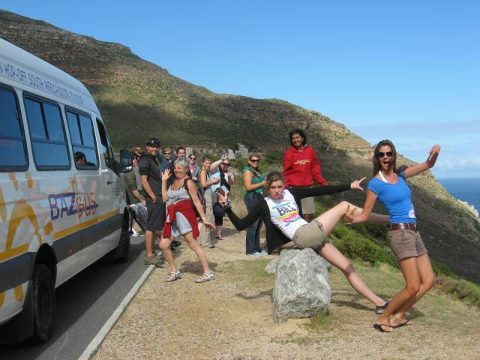 Baz Bus is a convenient and flexible way to travel within South Africa. This Hop-on Hop Off service is excellent for independent Travellers keen to meet other like minded travellers. On the Baz Bus route we travel mainly along the coastal route with shuttle links to inland towns and villages. 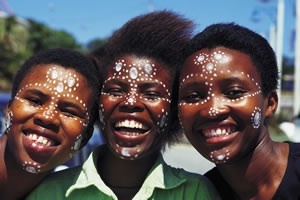 South Africa is a diverse nation offering scenic landscapes, awesome adventure activities and countless cultural experiences. Here is a bucket full of ideas to do along the route. 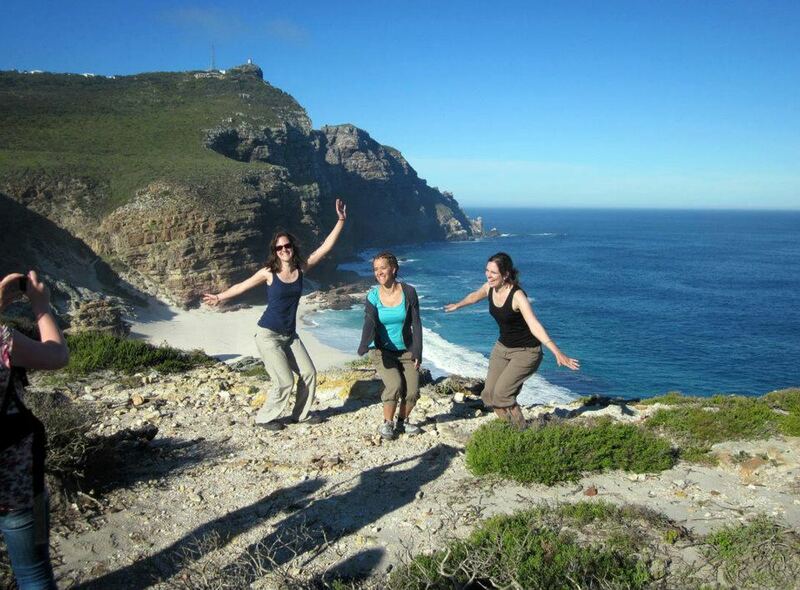 Hike up to Table Mountain and enjoy spectacular vistas or take the cable car ride to the top! It is one of the new 7 wonders of Nature! 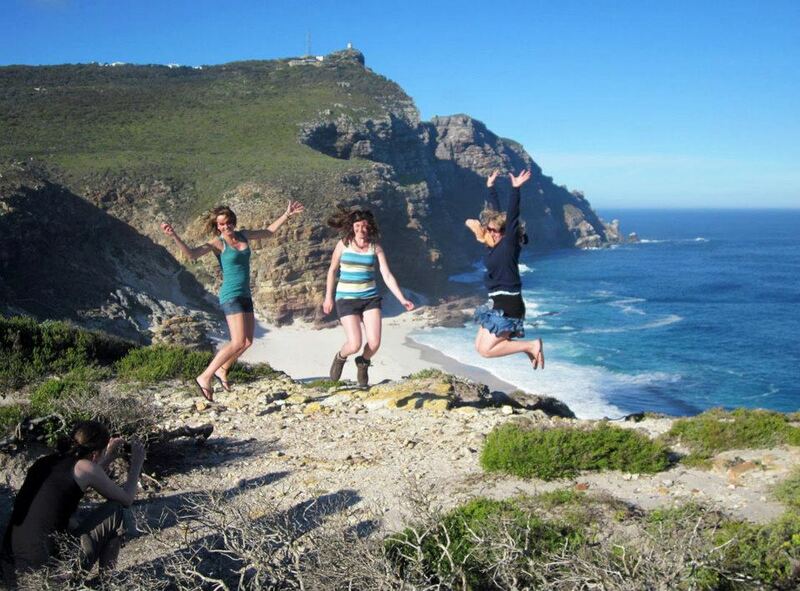 Book a Cape Peninsula Day Tour with Baz Bus with tour highlights including a visit to Hout Bay, Boulders Beach Penguin Colony and hikes in the Nature Reserve to the top of Cape Point and the most South – Western Point of Africa. 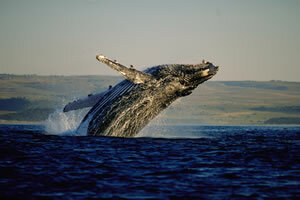 During Whale Season Here you have the rare opportunity to spot whales breaching in the bay. 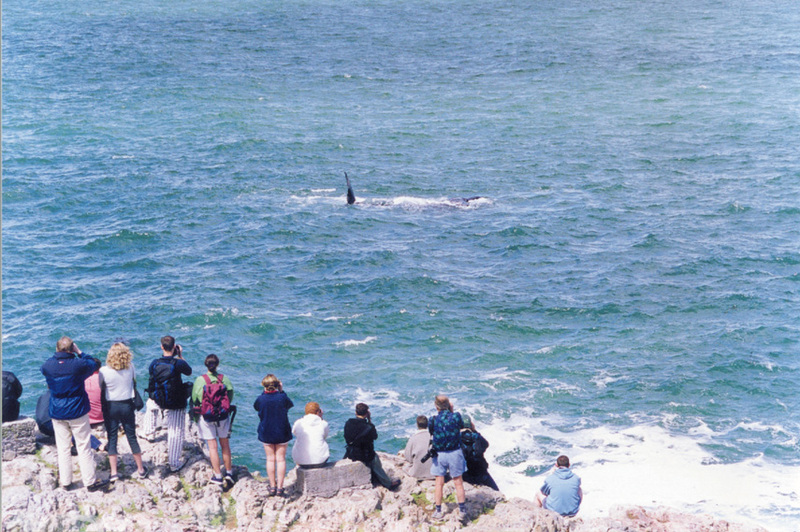 Hermanus is the best land based whale watching spot in the world. 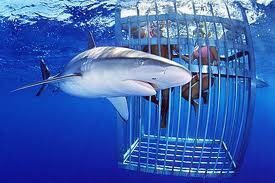 Try Shark Caging and get your adrenalin going! 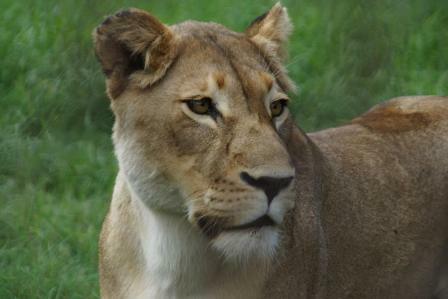 Visit the Kruger National Park and Experience game viewing at its best. 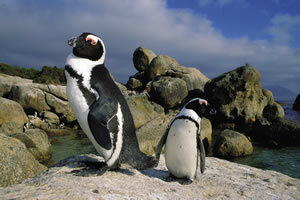 It is one of the few places on earth where wildlife can be seen in such great variety and at such close quarters. Baz Bus offers a Wildlife Safari packages! 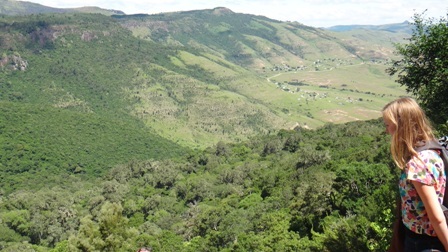 Visit Hogsback which is a magical world of mountains and forests. 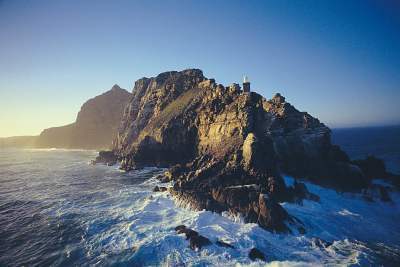 Wild Coast is one of South Africa’s most remote stretches of shoreline which is home to some of the most beautiful coastal scenery in the world. 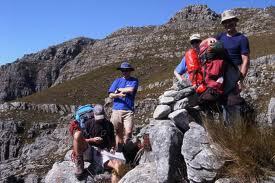 Hike in the magnificent Drakensberg Mountains. 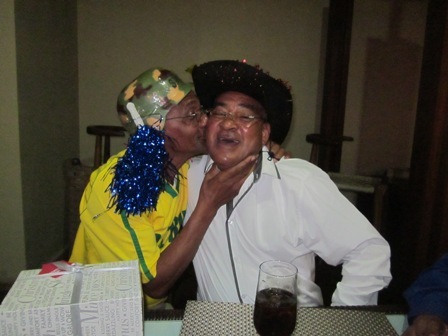 Do a cultural tour and enjoy spending time in the local communities. 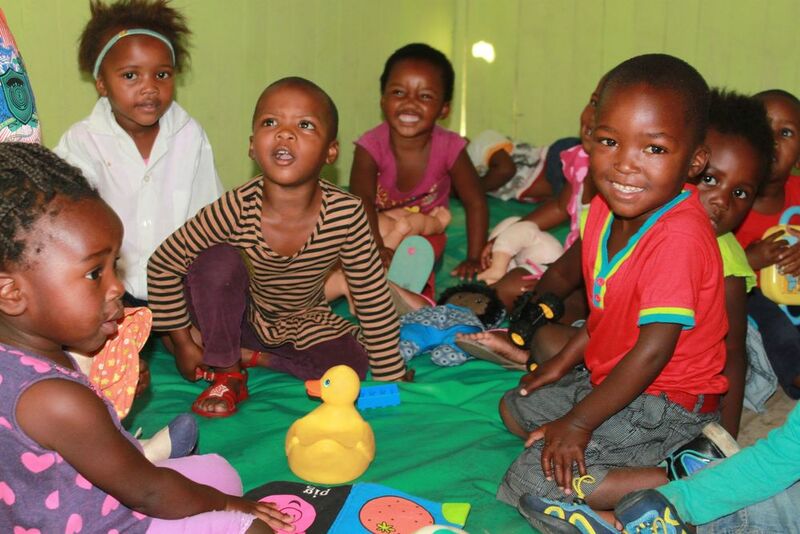 Visit to Elundini Creche in Dunoon – community project! 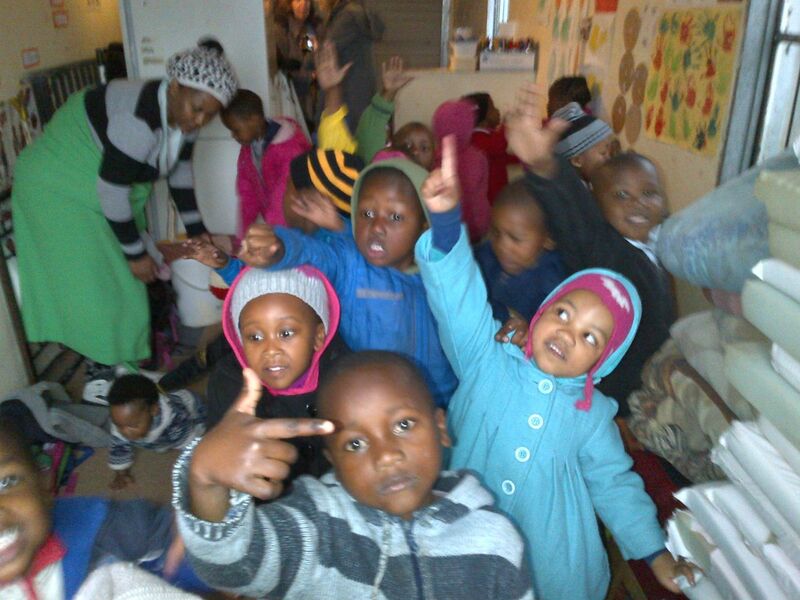 On Wednesday, 7 February 2013, we visited this disabled creche in Dunoon! 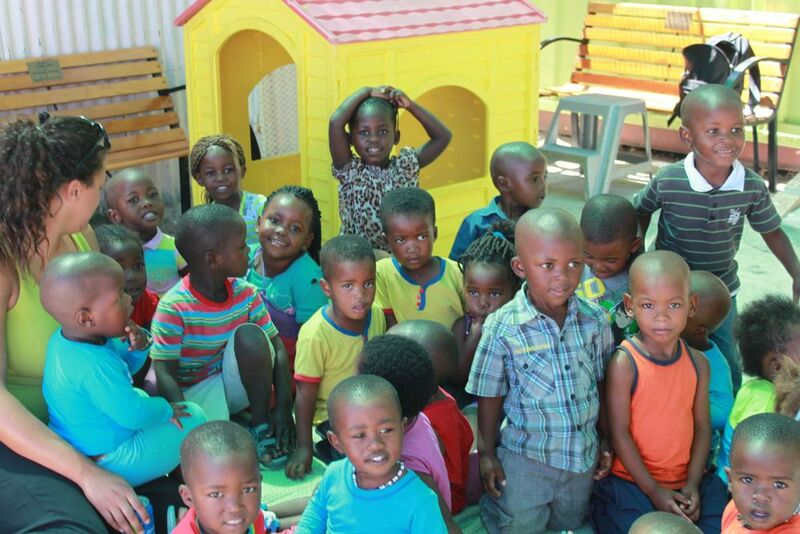 his has been a long term project of ours and it has been great to have participated in the improvements via contributions and see this crèche grow to where it is today. 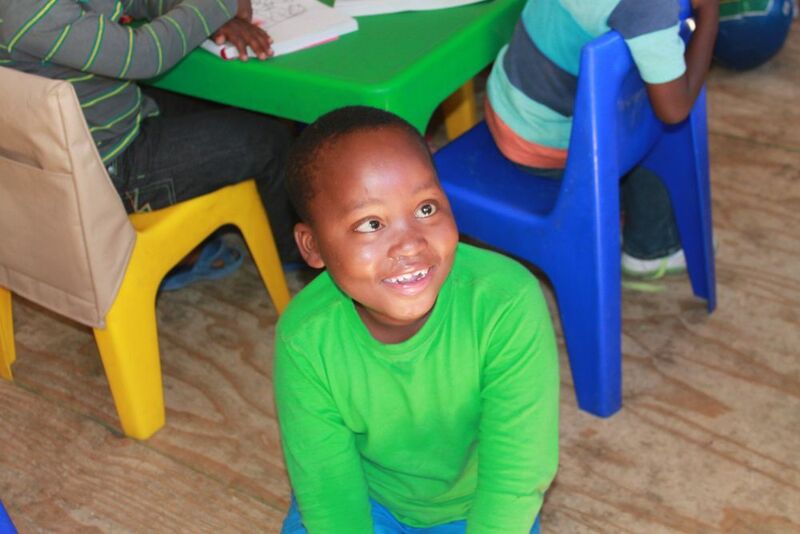 It now has 3 classrooms to house over 70 children including many disabled kids with specific disabilities. Indy the principal showed us around each classroom explaining to us the different age groups and activities the teachers were doing with the kids. 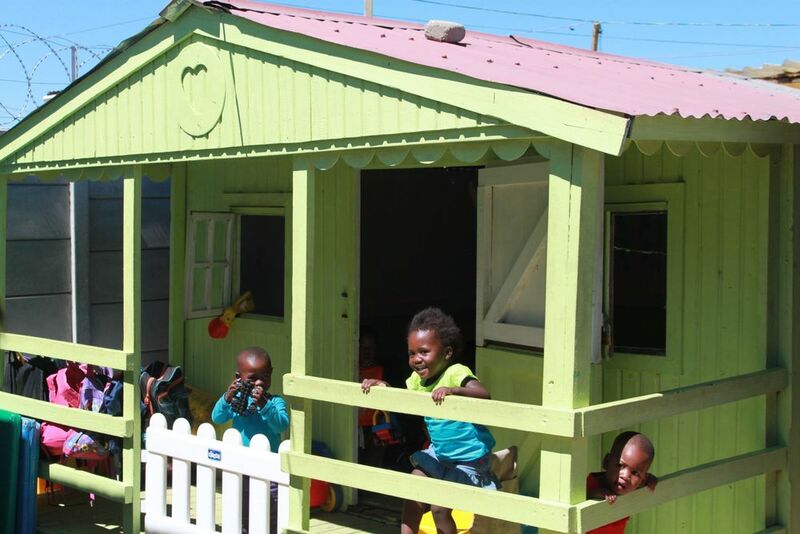 There is also a good sized play area, kitchen, sleeping area, ablution facilities ablution facilities (which Baz Bus helped to build) and a combi bus (which Baz Bus made a contribution to the purchase). 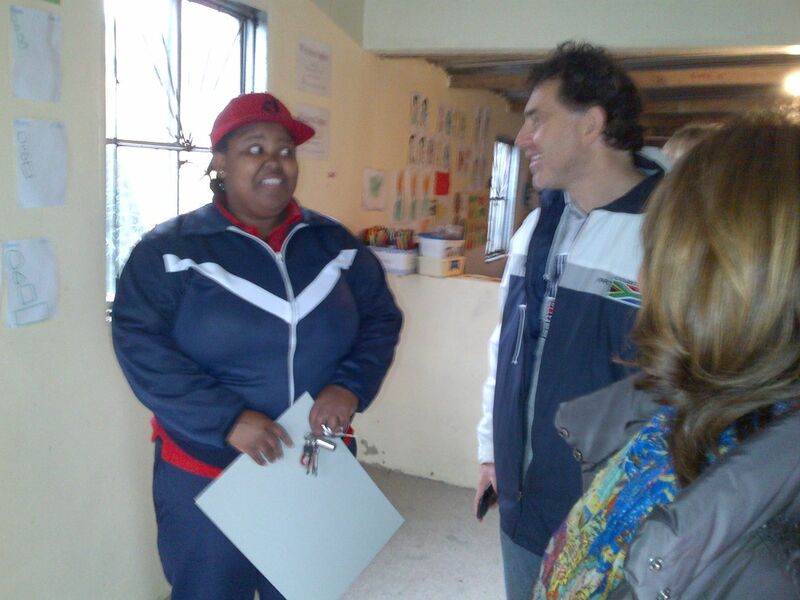 Indy is now in the process of purchasing the land from the city council which will be a great achievement for her. 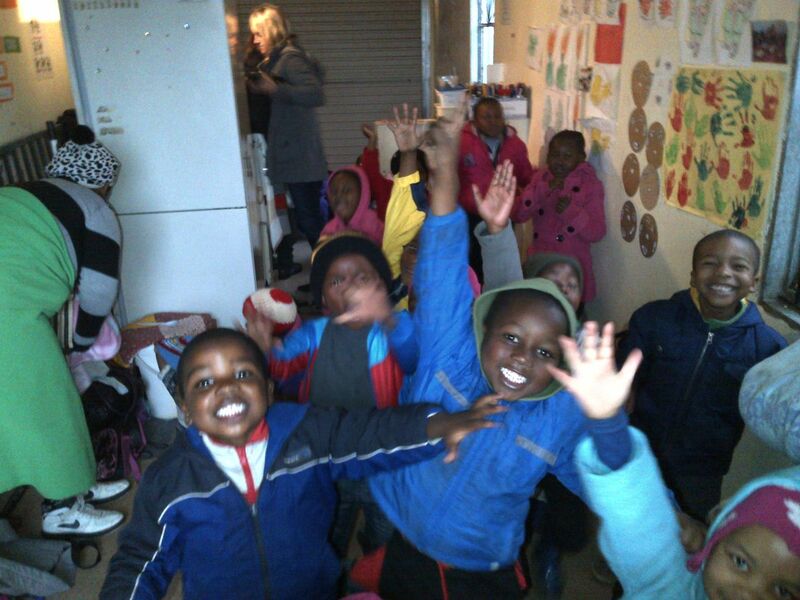 The children were so excited to receive their goodie bags and we had another successful morning spent with these amazing children! 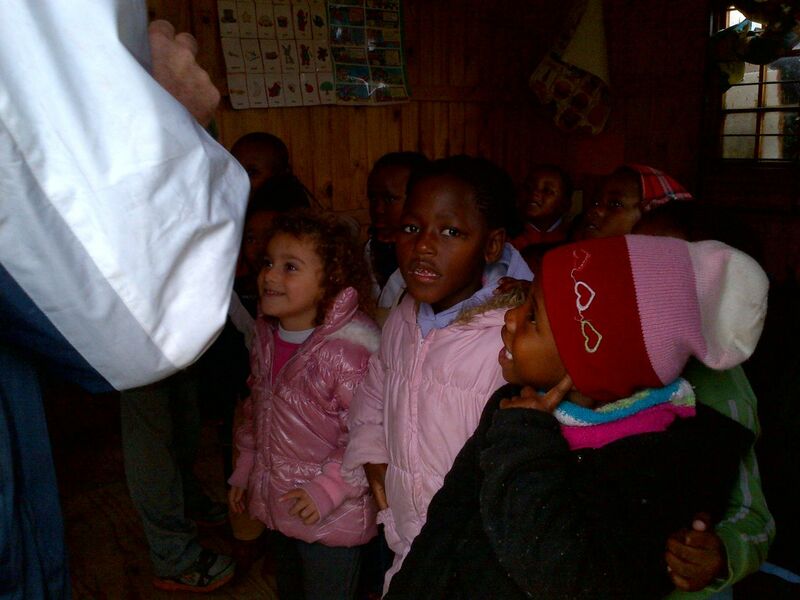 Our visits to the crèches coincided with the beginning of the school year for both crèches. 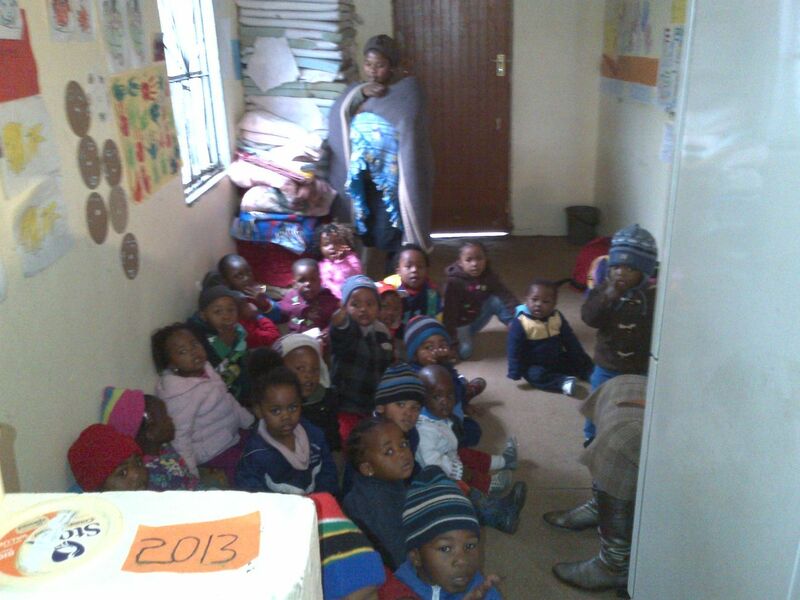 At Babes Creche there were 80 children mostly toddlers and some babies which Harriet has taken on. 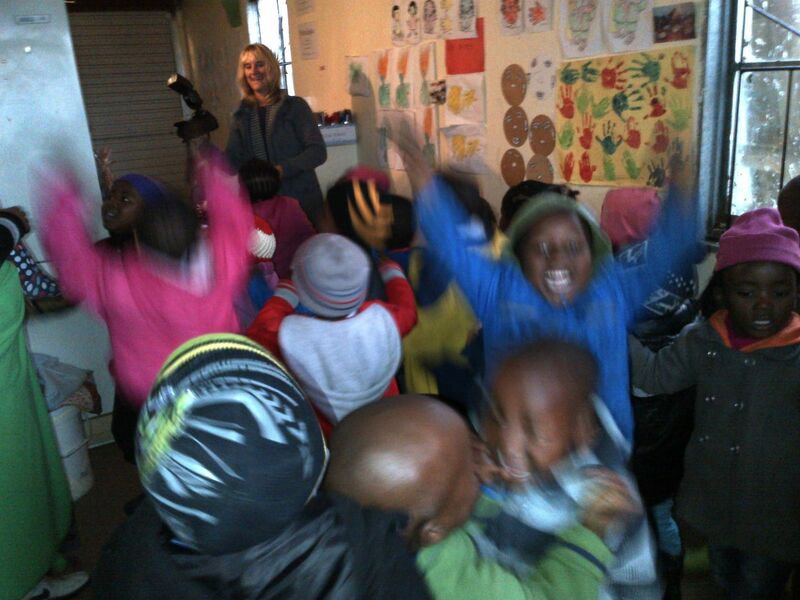 It was delightful to see the happy children eagerly awaiting us. 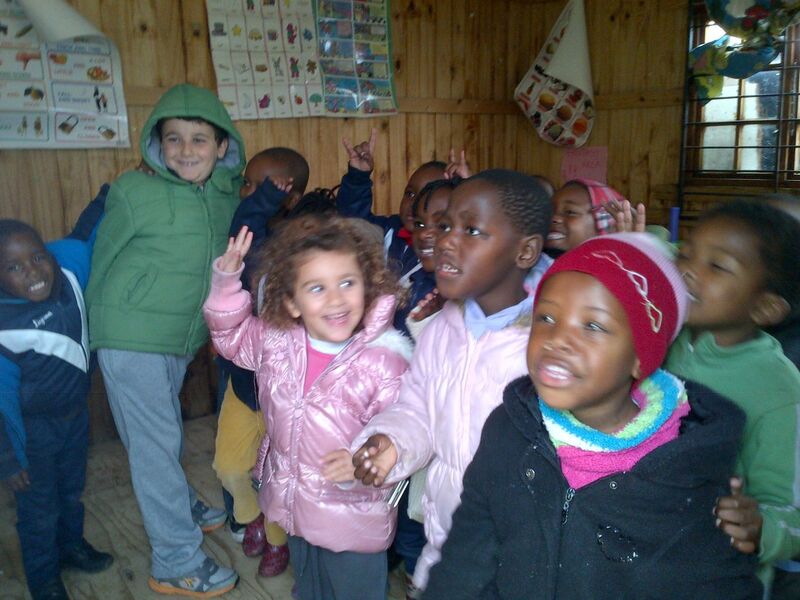 The property consists of 2 classrooms which houses the children according to age groups. One is a basic wooden structure and the other a proper concrete classroom extending to the road. 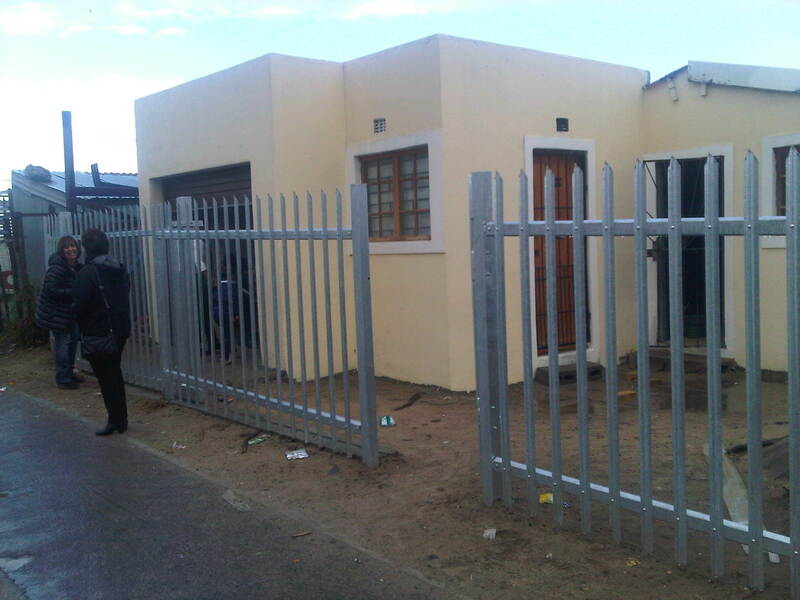 She desperately needs to erect a proper fence in front of the property as the existing one is just a makeshift fence made of wooden planks. This will allow the kids more freedom to play outside of the classroom. 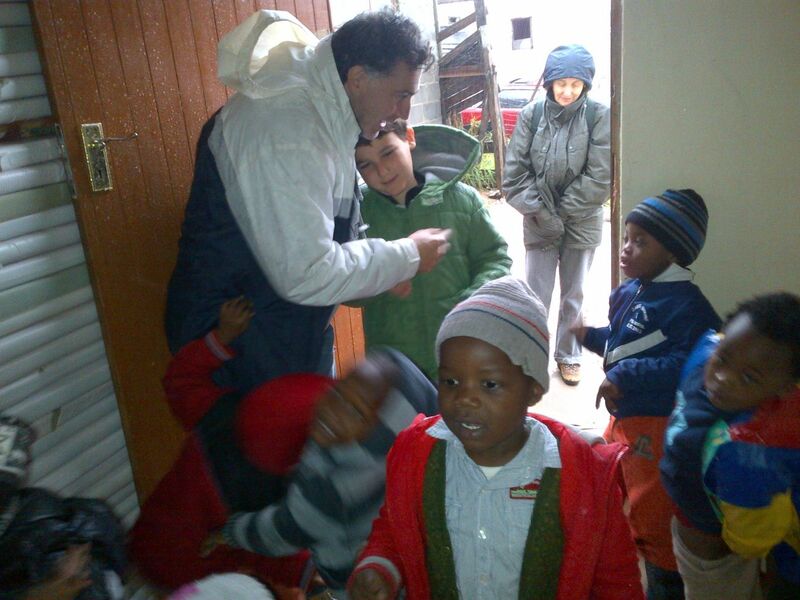 They are also in desperate need of ablution facilities as the children use buckets outside the classrooms. 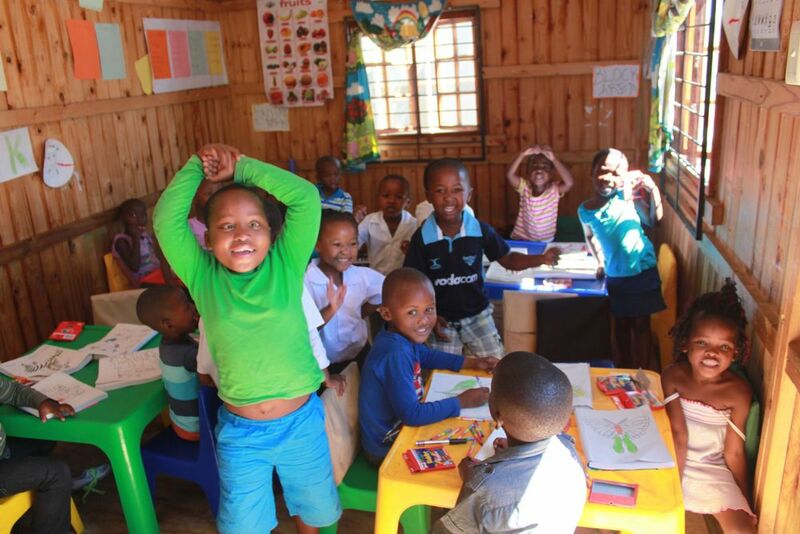 Harriet has done an amazing job of pushing forward with her dream to educate the children and get them ready for school and her commitment to improving the school is evident. 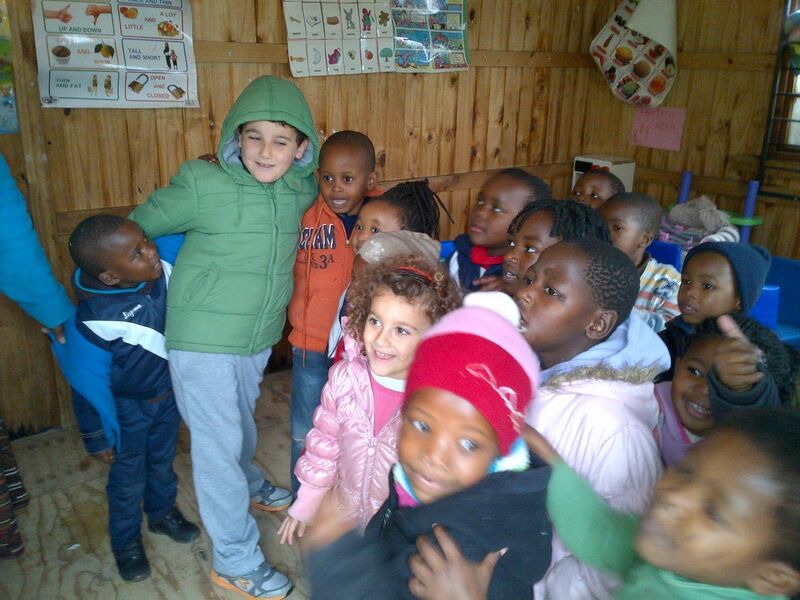 The Union of Jewish Women are working closely with Harriet to realise some of the challenges that she is facing by raising awareness and getting sponsorships and donations so that she can get proper ablution facilities and fence in play areas for the children. 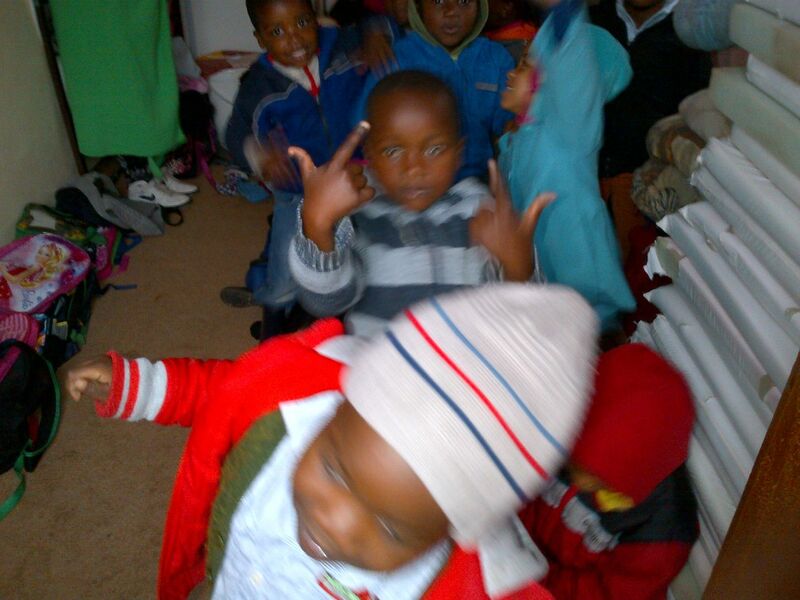 To this effect Baz Bus has contributed a substantial donation to these causes. 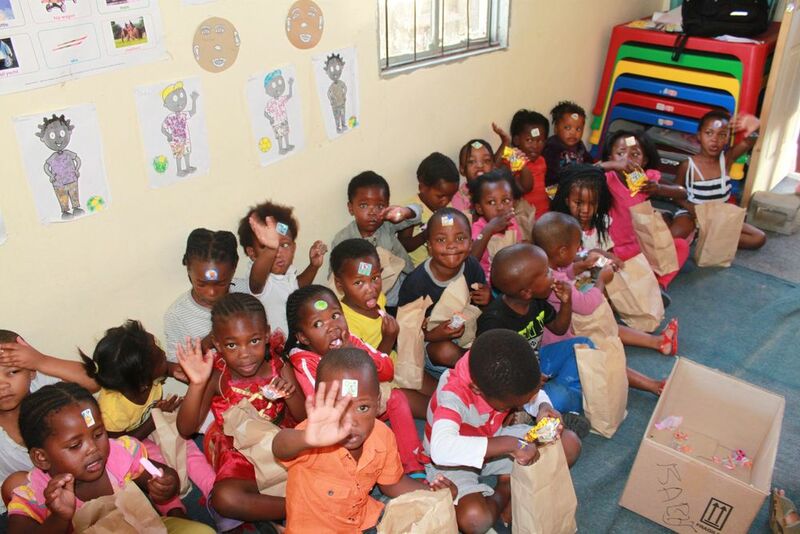 We made up gift bags for the children filled with delicious goodies and custom made gift bags with stickers to hand out to the children. 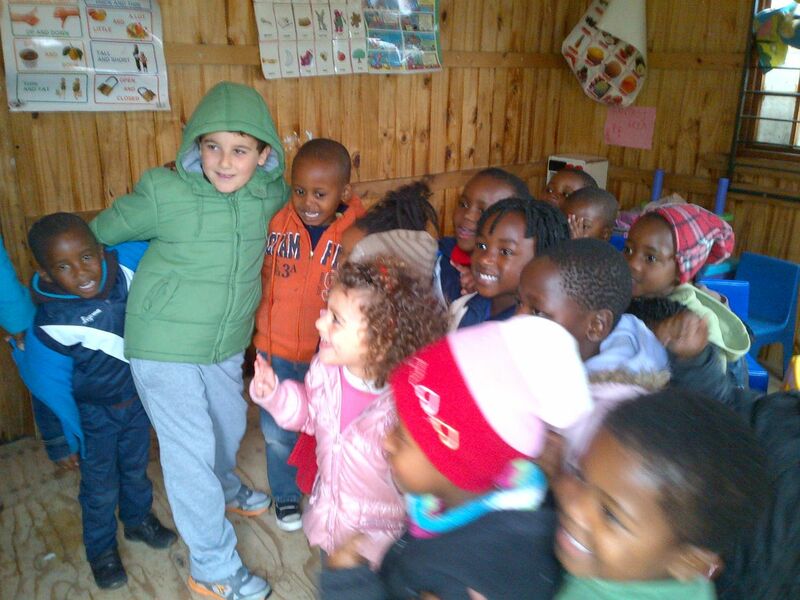 The stickers were meant to be used as an interactive activity with the children and which they thoroughly enjoyed. 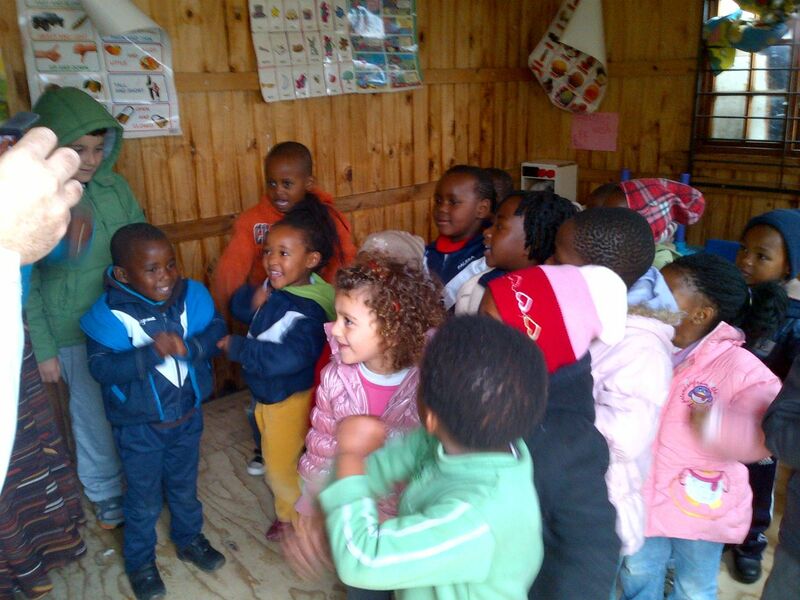 What a well behaved bunch of toddlers and it was great to see that they are all well trained in not littering. 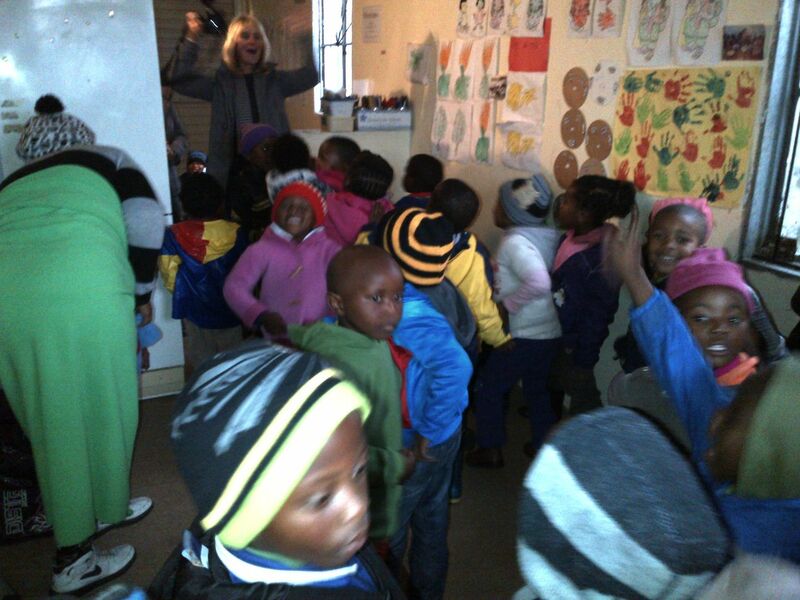 Each child threw their wrappers in the bin after they had finished eating!! Children have such pure joy no matter what circumstances in their lives so we always come away from these visits feeling the love.